Organza first communion dresses are beautiful and easy to care for. Our girls first communion dresses with organza overlay feature embroidered details, lace and beaded embellishments. 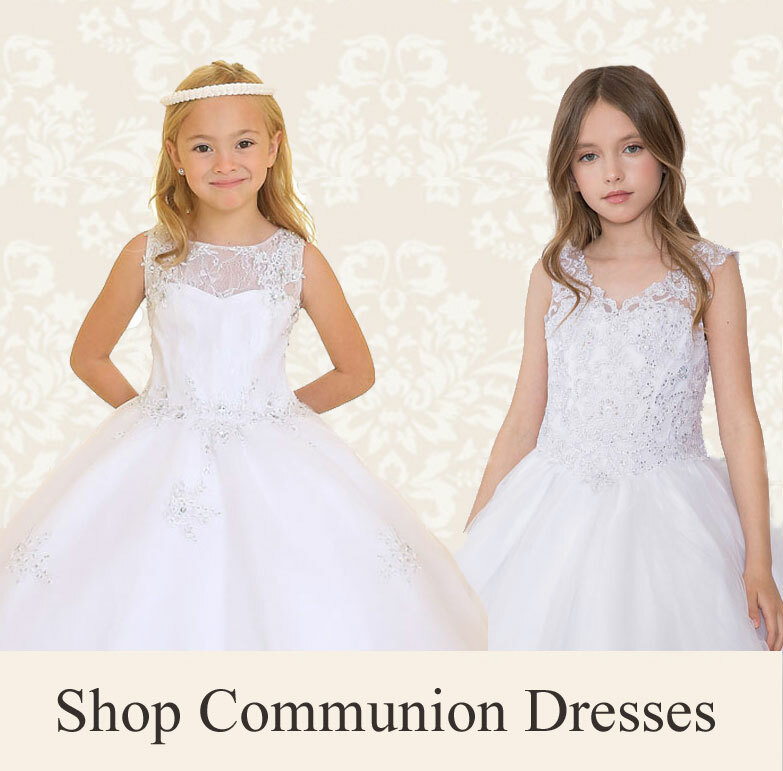 We also carry plain organza communion dresses if you desire a simple style for your child's first holy communion attire.